Kudos to SMART! Here's a good news for Smart, Talk n Text and Sun subscribers. Smart is giving free access to Wikipedia starting September 5, 2014 till February 3 2015. Just enable the data settings of your phone and type zero.wikipedia.org or m.wikipedia.org on the phone browser and you're good to go. 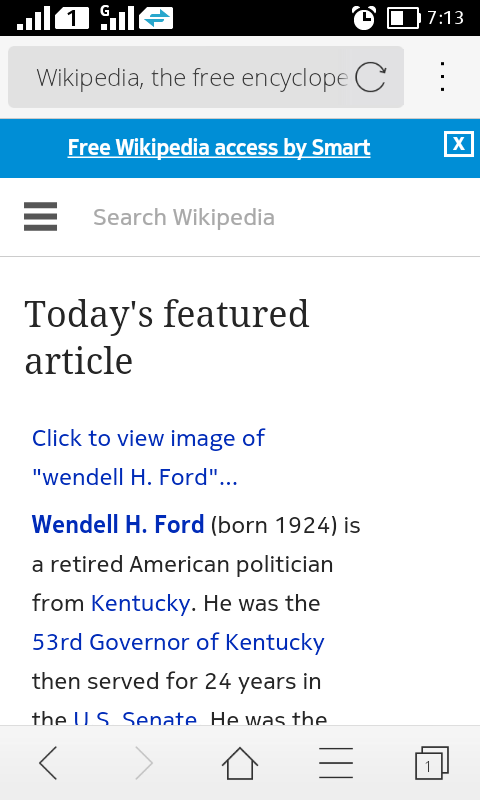 You can also use the Wikipedia App for iOS and Android for free. TAKE NOTE: We suggest that you make it sure use that you have 0 remaining balance on your sim before accessing the free website because, if you still have enough load or balance some running applications on the background might connect to the internet without you knowing it this will eat your load balances. See the screenshot of my phone below. If you are in the process of applying for a job you can review different types of interview questions by browsing Wikipedia, just search for the topic Job interview. You can also share this information if you have a friend or a member of the family that's still attending school because it can be handy in doing research works and they don't need to go outside the house during wee hours to finish their research.